BMW now retaliating after losing the first position in Indian market brings upon MINI Cooper Diesel in India. Locally, the Countryman and Countryman High will be available in Diesel variants and would be competitively priced to rival the Mercedes A Class Sports hatchback, launch scheduled on 30th May 2013, albeit only the gasoline variants. As of now, both Countryman and Countryman High diesel variants will be imported as CKD's and will be powered by 1.6L Diesel engine delivering a power output of 122PS and 270 N-m torque. 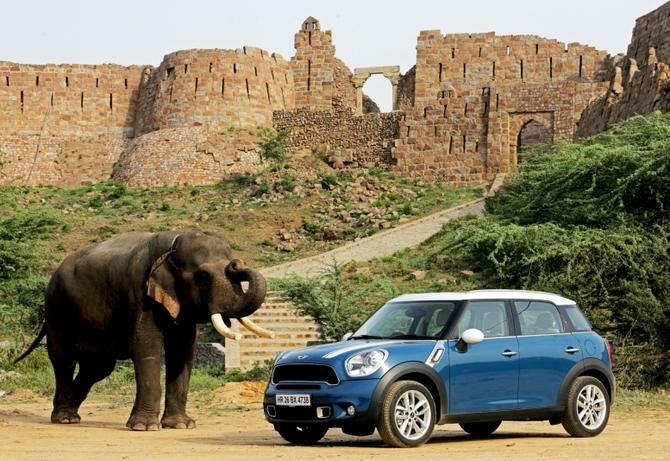 The Countryman can accelerate from 0 to 100 kmph in 9.9 seconds. The MINI Cooper Diesel is slated to deliver an ARAI certified fuel efficiency of 19.5 Kmpl. As per the sources, MINI Cooper D Countryman will be priced at INR 25.6 lakhs while the Countryman High will command a price of INR 28.9 lakhs (Ex-showroom Mumbai).